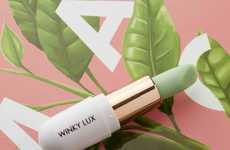 Winky Lux's After Dark Blacklight Lip Crayon is "a UV Lip Balm"
While many lip crayons have the potential to transition one's look from day to night, the all-new After Dark Blacklight Lip Crayon from Winky Lux comes alive when exposed to ultraviolet light. The unique lip care product is described as "a UV lip balm that’s half gloss, half glow stick," and provides not just great color but also moisturizing ingredients. The unconventional lip balm, which is being released just in time for festival season, comes in a universally flattering bold pink color. 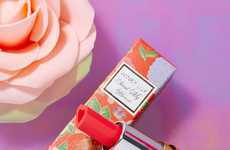 As a product that's vegan-friendly, fragrance-free and made without talc, gluten, parabens, sulfates and phthalates, the product is not only safe to use on the lips but also has the potential to create fun body art.